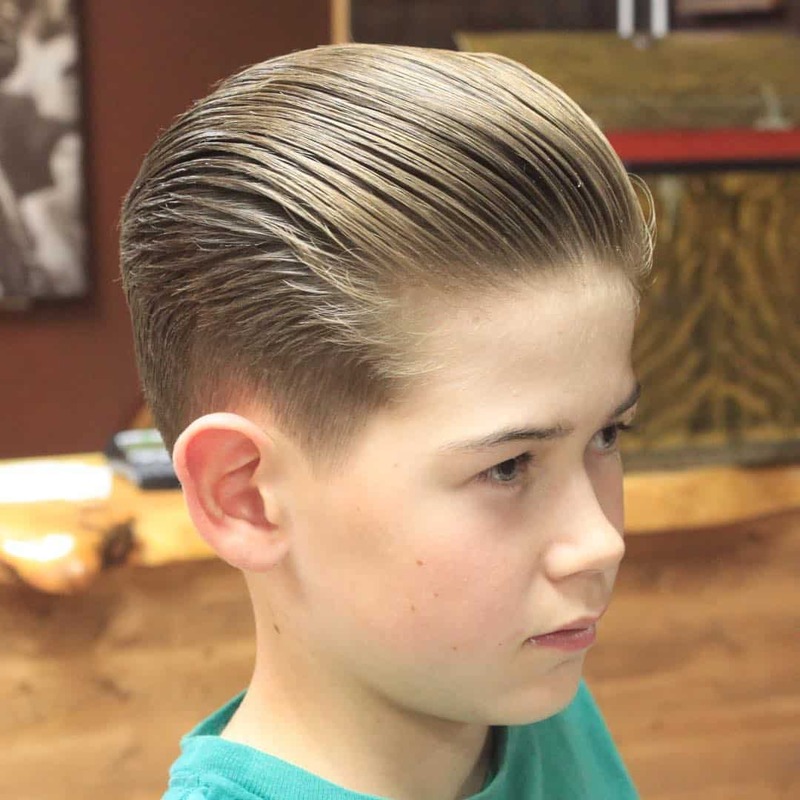 Stay away from those bowl cuts and say hello to suave, stylish young men. 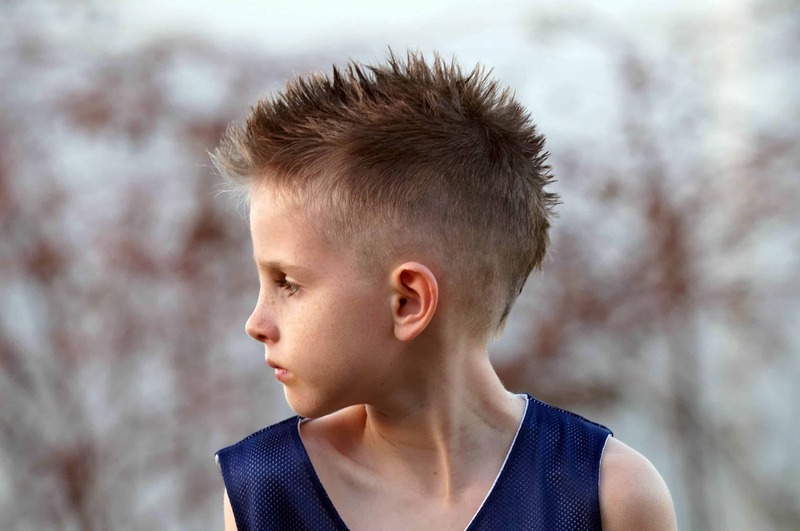 These 15 little boy haircuts are anything but boring. 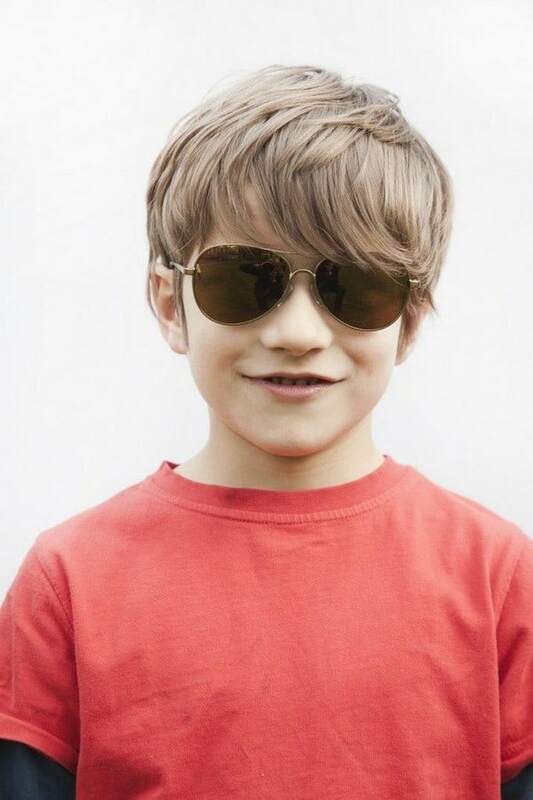 Actually, they’re not only fitting for your mini dude but they’re make him feel like a cooler, more confident version of himself. Scroll through and see if any of these trendy, fun hairdos fit your favorite man of the house. 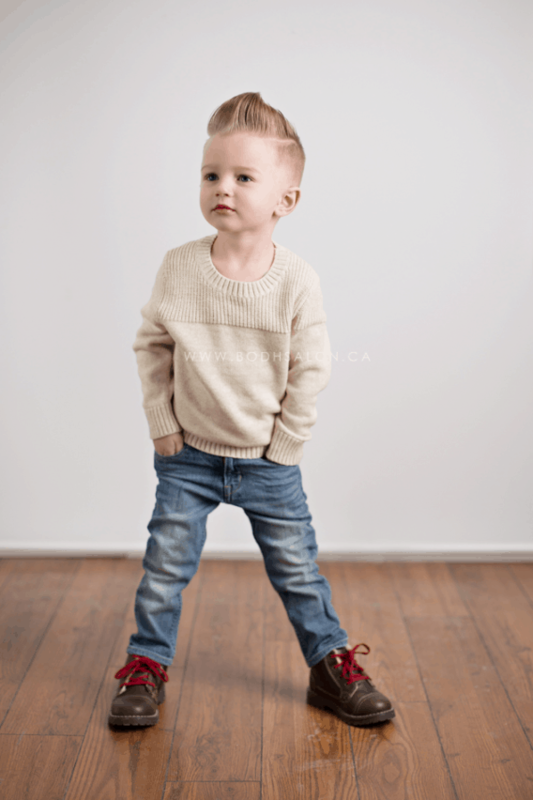 Shwin & Shwin shows us how to create basic crew cut for our littlest men. This is a classic, clean style that is always on trend and chic. 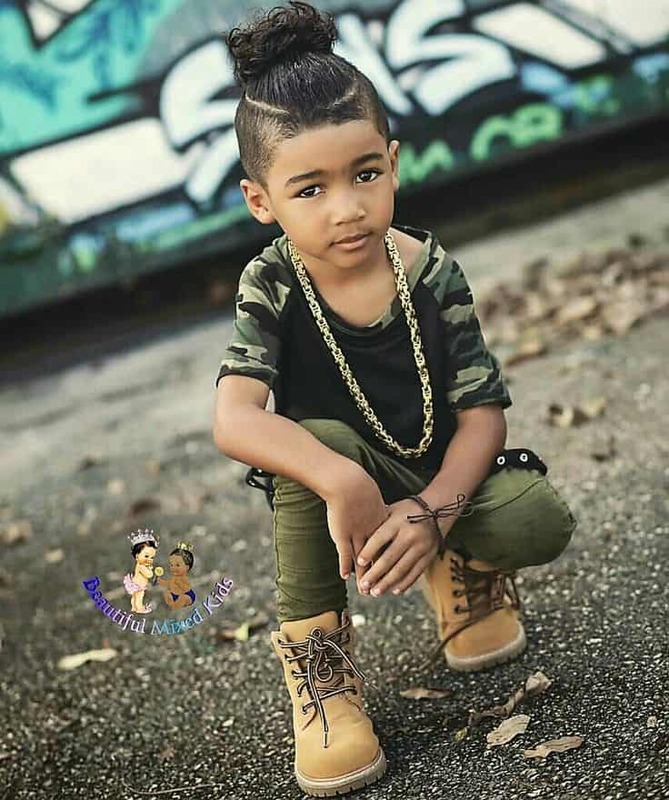 Your tiny guy will still look like your boy but one with a suave edge. Haircut Inspiration gave us this skater-inspired cut that we’re loving. 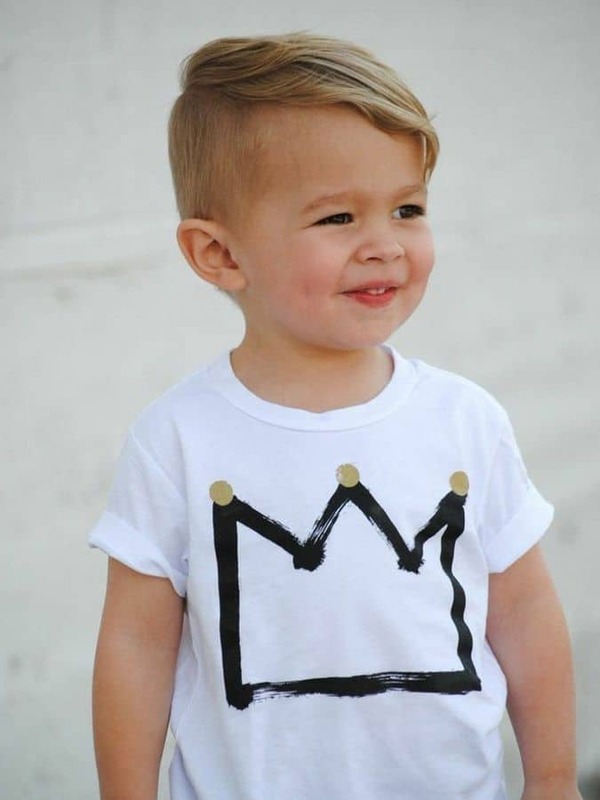 Longer bangs and top with some shaved sides, your little guy will be the more stylish dude at preschool with this cut. It’s easy to keep up with too, so no worries mom and dad. These uneven fringes – with shortened sides – is a fun look to try out as well. You can style it with gel or leave it loose depending on the day. Check out more like this over at A to Z Hairstyles. 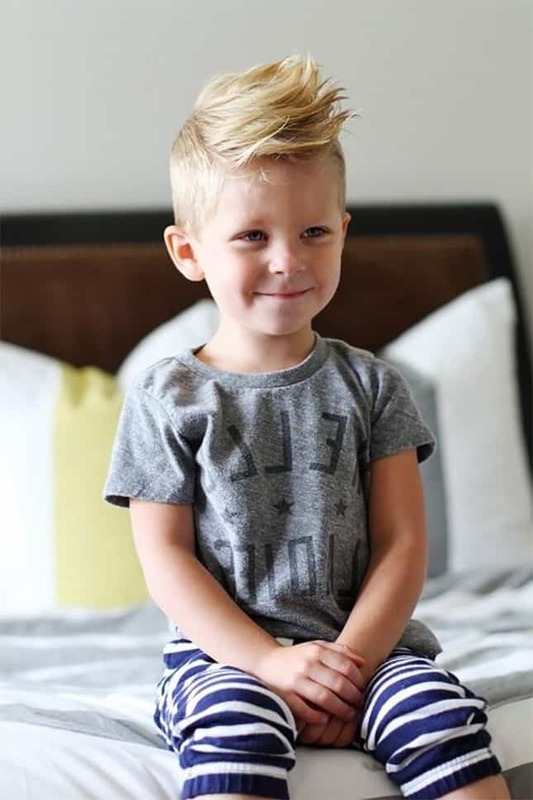 If your little boy wants to go with some longer locks than this longer, tousled look from Macho Hairstyles may be what he wants. We love this easy, breezy look and it looks great both dressed up and dressed down. You just may have to do some extra trimming on those bangs between haircuts. Longer on the top and styled with some product, we’re swooning for this Johnny Bravo-inspired hairstyle. It’s super on trend right now and we found it featured on Macho Hairstyles. Just think of how great all of this fashionable outfits will look when topped off with this hairdo. Here’s a hipster style that we’re loving and grabbed from PureWow. Again this is a longer on top and shorter on the sides style, except there’s even more on top with this one. Allow those bangs to grow out a bit and tousle them for an easy, free-spirited style. 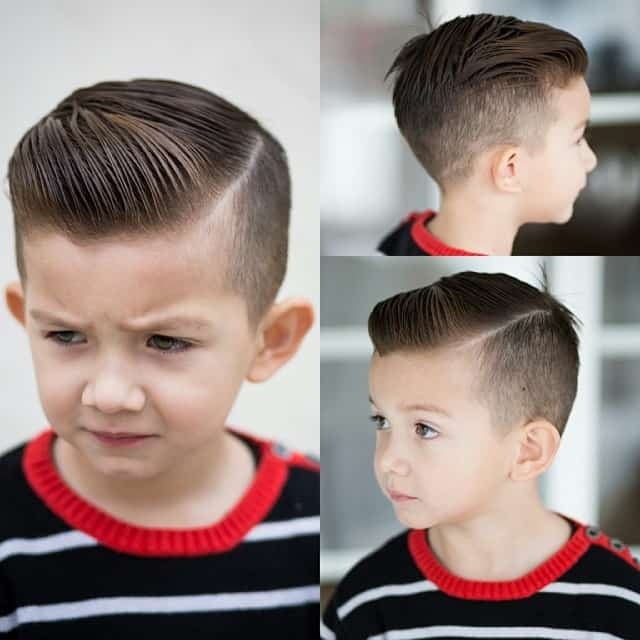 If you’re inspired by vintage looks, then the pompadour may be what you want your little boy to start rocking. Or maybe he’s inspired by those old, T-bird dudes. If so, check out this beauty from Bodh Salon! 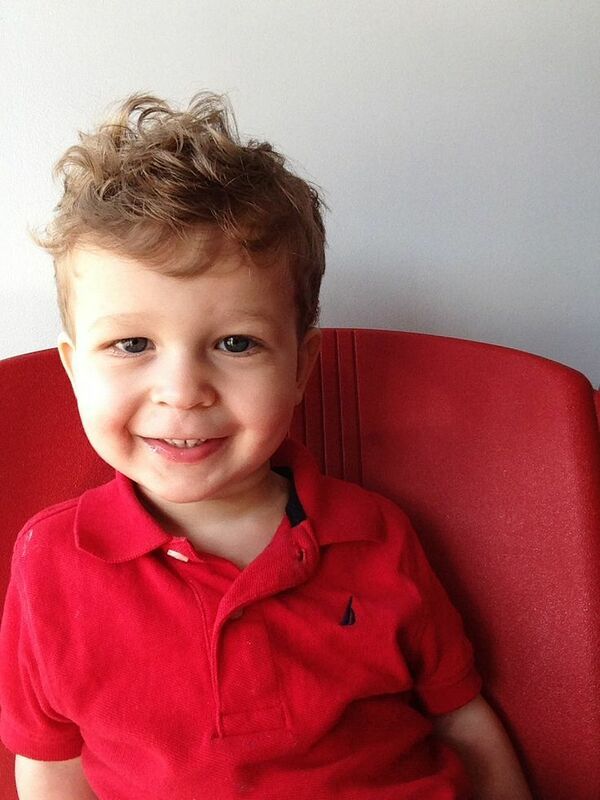 Little boys tend to love those spiked haircuts as well. 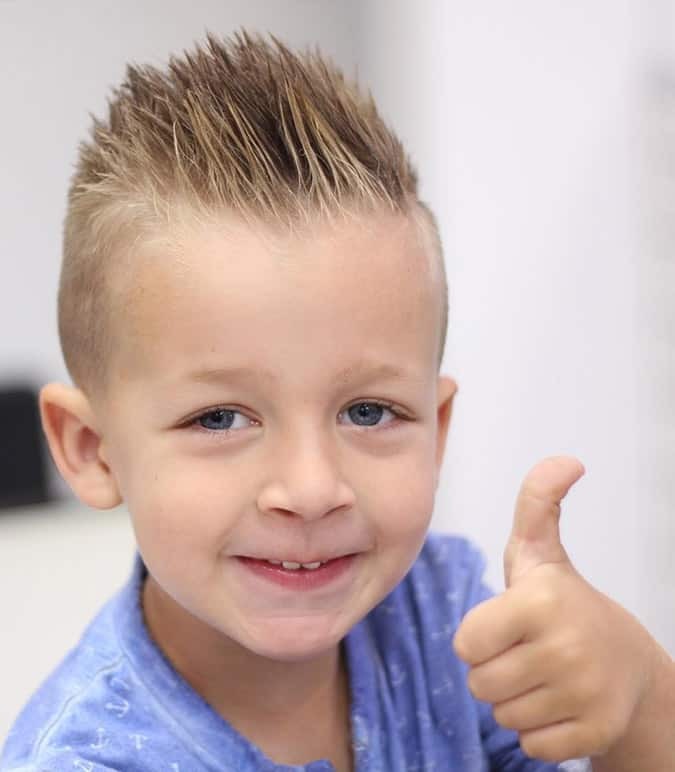 We found this easy do over at Haircut Inspiration and found it to be an easy to keep up with look that your kiddos will love. 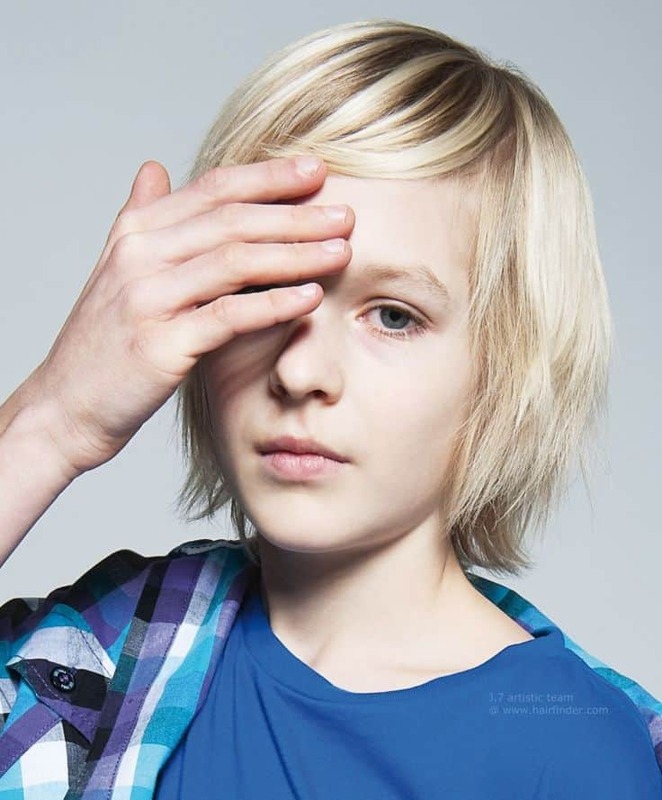 And it can even be styled down when he wants a more casual and less-fuss hair day. He could always grow his locks out a bit if he likes this style from Men’s Stylists. It’s verging on medium length and has that easy, tousled look that’s really in style right now. It’s perfect for kiddos with more voluminous and thicker tresses. Slick his hair back! 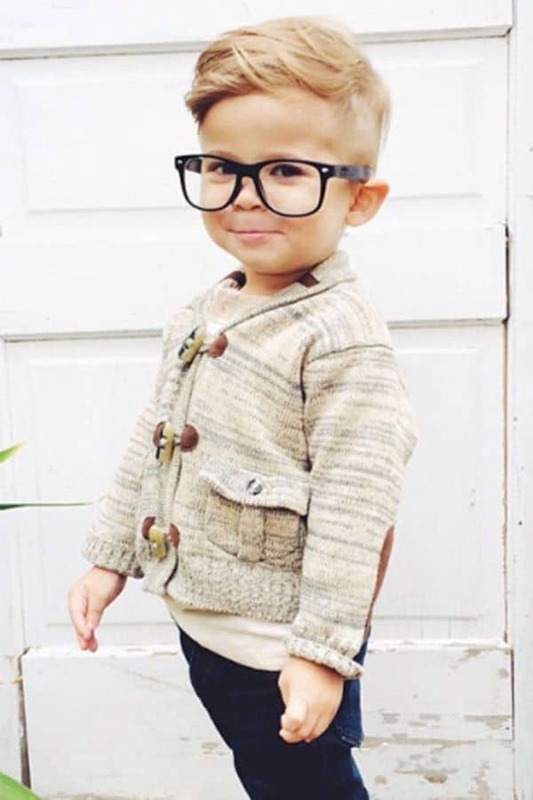 This is another vintage-inspired look that can be styled differently on a daily basis but we have a feeling your little guy would love to rock it. Check out Beauty Reflections for similar inspiration! If your guy is a little edgy and wants to take things to a new level in the hair department, let him go with a faux hawk. You can learn how to do it yourself wit this YouTube video. But don’t worry, when styled right you can still let those spikes down for a respectful and dressed-up look for events. Men’s Hairstyle Tips gives us some great inspiration concerning longer, boy locks as well. Just look at these pretty blonde tresses for example. 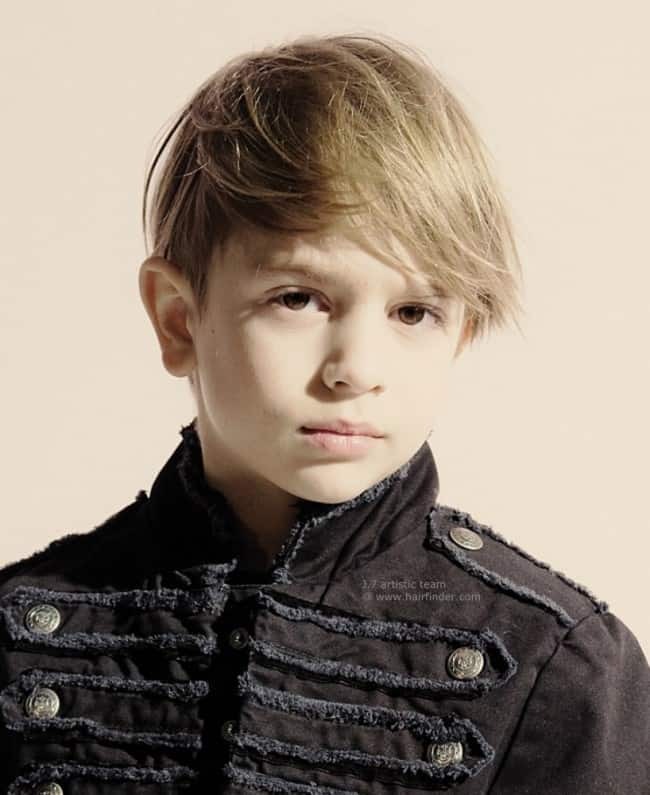 Layer up his hair for an edgy, in-style hairdo. The “Samurai” or what we all like to refer to as the “man bun” is all the rage right now as well. 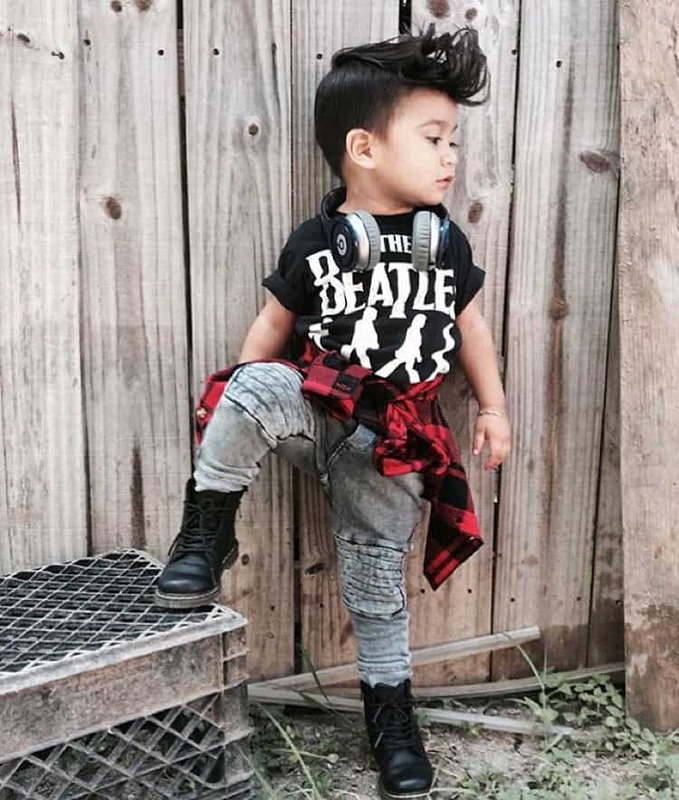 And your little boy can rock it too, just like this suave dude did! We love this inspiration we found on Instagram especially with those curls! If your guy has some curly locks to play with, then showcase them. Go with a longer, curly middle and give him some volume. Thanks to Pinterest for the inspiration, where you can find tons more if you want to start looking! Look at this beauty over at A to Z Hairstyles! 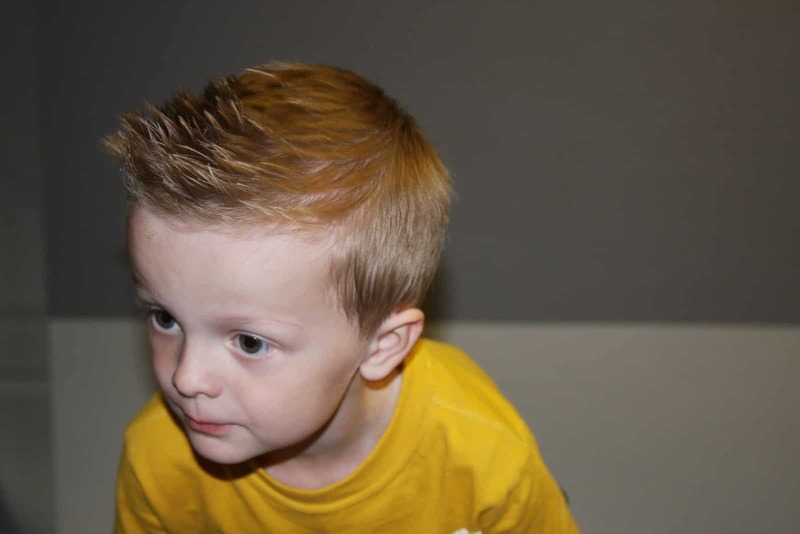 It’s a classic, faded hairstyle with a hard part that will keep his style in line day in and day out. Take the leap if you want even more ideas before you and him hit the salon.